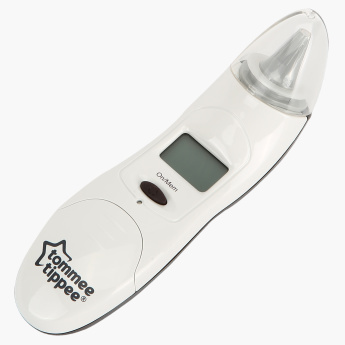 Tommee Tippee Closer to Nature Digital Thermometer | White | Suitable from newborn. Save SAR 0 (0%) Earn 99 Shukrans What is Shukran? Shukran is the Landmark Group’s award-winning loyalty programme in the Middle East, which allows you to earn Shukrans when you shop any of our brands. 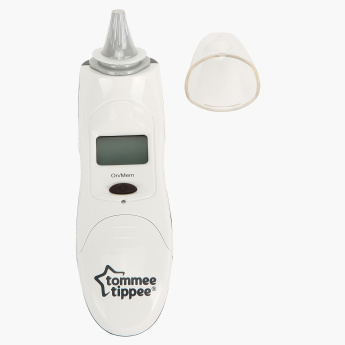 Ensure you have your little one's temperature accurate by using this thermometer. 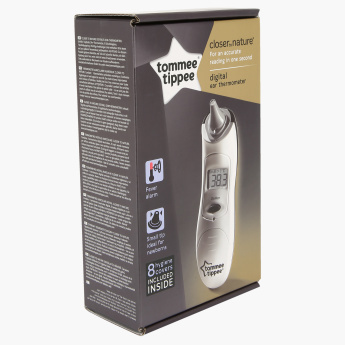 It gives a scientific count digitally on the screen which makes it easy to use. It has an alarm that rings as soon as your baby's temperature shoots up. Feature 2 : Alert alarm if too much high fever. Feature 1 : Suitable from newborn. Feature 3 : Simple and quick.